Hometown: Wenonah, New Jersey, U.S.
Died: April 29, 2010 in Operation Enduring Freedom. 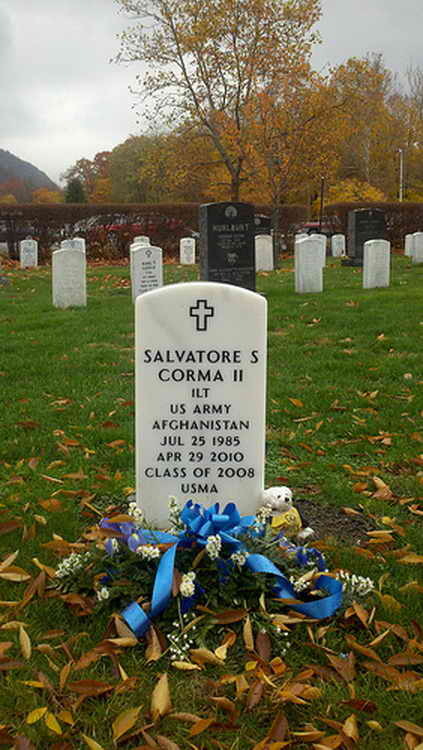 Unit: Army, 2nd Battalion, 508th Parachute Infantry Regiment, 4th Brigade Combat Team, 82nd Airborne Division, Fort Bragg, N.C.
1st Lt. Salvatore S. Corma, 24, of Wenonah, N.J., died April 29 at Forward Operating Base Bullard, Afghanistan, of wounds sustained when insurgents attacked his unit using improvised explosive devices. He was assigned to the 2nd Battalion, 508th Parachute Infantry Regiment, 4th Brigade Combat Team, 82nd Airborne Division, Fort Bragg, N.C. 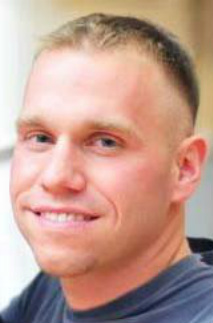 When news broke that the Army lieutenant from Deptford Township had been killed in combat, some of his old high school classmates decided they wanted to spread the word about what a hero their friend was. Corma, 24, went to St. Augustine Preparatory School in Richland before attending West Point Military Academy. 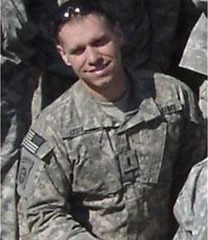 He was killed by an improvised explosive device on April 29. “After hearing about Sal’s death, I contacted Sgt. Michael T. Herne, who was a part of Sal’s platoon over in Afghanistan,” said Ed DeRose, a St. Augustine classmate. Herne, who “detailed the entire story,” was “extremely happy to see my concern over the situation and wanted to inform me of every detail,” DeRose said in an e-mail to the Gloucester County Times Tuesday morning. He and Cory Kaser, another classmate, were sending and forwarding Herne’s account by e-mail. “Sal’s story is of a true American Hero,” said DeRose, who now lives in Tampa, Florida. Here’s Sgt. Herne’s account, e-mailed from Afghanistan, of Corma’s final hours. “On 29 April, we went out on a combat patrol (and) we were on our way back. The Taliban like to emplace things called Improvised Explosive Devices, basically lots of explosives buried in the road that can be set off a number of different ways. “I am Sal’s first squad leader, so I am generally in the lead vehicle. On the route back to our Forward Operating Base there’s a bridge we have to cross. It’s pretty much the only way to get across the river. The TB (Taliban) like to emplace those IEDs in places where they know our trucks have to drive (choke points.) This bridge is just that. As the truck commander for the lead truck, I dismounted and cleared the bridge and just after the bridge for any disturbed earth or anything that would be suspicious of an IED emplacement. “ I saw a spot (in) the center of the road just after the bridge that looked funny, so I dug down with my boot and it went into the dirt rather easily, which caused me to further investigate the site. “I then dug down with my hands and uncovered an anti-tank mine. I immediately called Sal as my commanding officer and the patrol leader. He came up and checked out the site. We then began to cordon off the area so no local nationals got hurt and no U.S. personnel would get hurt. “When we find an IED, we have to mark the site so the explosive ordnance disposal guys can quickly and safely ID the site and get rid of it. “While moving to mark the location, he stepped on the pressure plate, which completed the circuit and triggered the mine to explode. “Sal died instantly. He didn’t feel any pain. “Sal, without a doubt, saved my life when he ordered me and the others away. He knew full well the risk of what he was doing, as we have both done things like this before. “As far as having Sal as a leader, he was outstanding. One of the best I have ever served with. He took care of his 20-plus soldiers. He always placed the mission first, then the men, and then himself. He was a truly kind individual and a genuine person. He loved his job and was very passionate about it. “I don’t know what else to say. That’s the story. He gave his life for his men. Sal wouldn’t have wanted it any other way. “He is the definition of an American Hero. WENONAH — Trudy Corma arranged Easter eggs and candy on her dining room table, like always, even though her only child left home for West Point seven years ago. Still, she does it, knowing Easter will never be the same. Neither will Mother’s Day, nor Christmas, nor any other day. One year ago, Army 1st Lt. Salvatore Corma II was killed in Afghanistan, blown up while marking an IED after ordering 19 men under his command to take cover. He was 24. The men who witnessed the action that led to his death have begun the process to have their commander receive the Medal of Honor. The Corma house in the town of Wenonah in Gloucester County is a soldier’s home. Outside, two dozen America flags ring the shrubbery garden and the tree mounds. A sign on the front door says, "Home of the free because of the brave." Inside, there are dozens of pictures of Sal Corma. He is smiling in every one. "He was famous for his smile," said his father, Sal Sr. "He had this oversized smile." It’s there in his 6-week-old baby portraits, and when he got his first martial arts black belt at 7. He’s dressed in a traditional karate uniform and his smile is bigger than the collection of medals draped around his neck. It’s there again in his graduation picture from St. Augustine Prep, and most pronounced in his official, dress-grays portrait from West Point, where it offsets his severe, brushed crew cut. The West Point portrait was the official photograph the Army released after he was killed. At first, the smile seems incongruous with such a brutal death. But then his parents talk about his desire to be a soldier, and a leader of soldiers. "Two weeks before he died, he was home because Big Sal was sick," Trudy Corma said. "He told me what his platoon was doing, finding and marking these IEDs. He said he would mark them because it was the most dangerous job. I said, ‘Buddy, you’re a West Point graduate, is that your job?’ He said, ‘Mom, you have to lead from the front. I can’t ask my men to do something I wouldn’t do.’ "
Leading from the front was something Corma demanded of himself. He finished near the top of his class at West Point, but still chose to serve the infantry and extended his commission two years. When he got orders to South Korea, he traded assignments with another officer to go to Afghanistan. "He was thrilled," Trudy said. "We weren’t, though. But we didn’t say anything." "What were we going to say?" Sal Sr. said. "It was what he wanted to do. He wanted to lead men in combat."